Air Niugini and its new partner, Sabre Corporation, the leading technology provider to the global travel industry recently co-hosted Sabre CONNECT, an immersive programme for travel business owners and managers here in Papua New Guinea. It marks the first in-market activation to be organized for travel industry professionals since Air Niugini and Sabre announced their partnership last year. 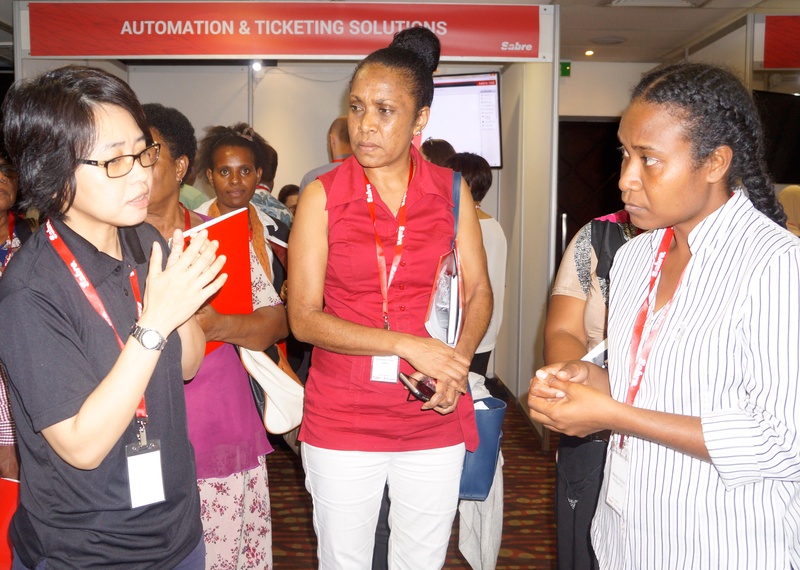 The event, which took place at Port Moresby’s Grand Papua Hotel, brought together over 50 travel agents from across the country. The sessions began with compelling presentations that looked at current trends, insights and key challenges facing the industry today. Participants also had the chance to explore the Sabre solutions that are now available to them under this new agreement, and to network with Sabre staff and peers. Air Niugini Chief Executive Officer, Mr Simon Foo said Sabre CONNECT was the ideal platform to help build strategic partnerships to address the challenges associated with a shifting travel industry. Regional Director South Pacific, Sabre Travel Networks, Mr Richard Morgan said it is essential that agents become well-acquainted with Sabre’s solutions, especially if optimizing their workflow is a priority. “Sabre CONNECT offered agents the opportunity to engage with innovative platforms such as the content-rich new Sabre Red Workspace, the itinerary management tool TripCase, and many other Sabre solutions. Addressing all touchpoints of the traveller journey, the tools that were featured at Sabre CONNECT looked at automation and ticketing, traveller experience, agency online support and Middle Office. “ Mr Morgan said. Travel consultants who attended Sabre CONNECT were eligible to participate in a lucky draw. Maricar Belarmino from Landmark Tours won a pair of red Beats headphones, and Joseph Kimat from Admiralty Travel Services left the event with Bluetooth-enabled JBL speakers. Air Niugini is pleased to have co-hosted the event with its new partner, Sabre and is confident this event marks the beginning of a stronger partnership aimed at engaging all travel industry members from Papua New Guinea and beyond.